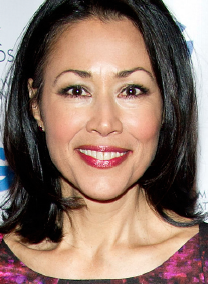 Award-winning journalist and photojournalist Ann Curry will be the featured speaker at the Japanese American National Museum’s Gala Dinner and Silent Auction on April 13 at the InterContinental Los Angeles Downtown. Curry, a former NBC News anchor and international correspondent, has reported on conflicts and humanitarian disasters all over the world. She has conducted a long list of exclusive and news-breaking interviews with foreign leaders as well as U.S. presidents, secretaries of state, and first ladies. She also has reported and executive produced a 12-hour documentary series about transformative world events for PBS and is the anchor and executive producer of an upcoming series crowdsourcing doctors worldwide to help undiagnosed patients. Curry is currently the host of the PBS series “We’ll Meet Again,” which explores some of history’s most dramatic events and reunites people who had been separated by them. It features personal stories of ordinary men and women who lived through extraordinary moments in history. Featured segments include two people searching for friends and family they were separated from during World War II; a man in search of the person who comforted him after the World Trade Center collapsed on Sept. 11; and a woman in search of the civil rights activist who inspired her. In October 2018, as a featured writer for National Geographic magazine, Curry wrote about the mass incarceration of people of Japanese ancestry during World War II and the racism and prejudice that gave rise to it. The article touched upon how she, as a teenager, first learned about the government’s actions during the war and how racism had touched her family, especially her mother. Among the photographs that accompanied her article were several that are currently on view at JANM as part of “Gambatte! Legacy of an Enduring Spirit,” which pairs historical images of individuals who were forcibly removed with contemporary photos of the same people, or their direct descendants, taken by Pulitzer Prize winner Paul Kitagaki Jr.
Curry was honored by JANM in 1997 with its Award of Excellence. She has won seven national news Emmys and numerous Edward R. Murrow Awards, Gracie Allen Awards, and National Headliner Awards. She also has been honored by the NAACP and Women in Communications, and is the recipient of several humanitarian awards. The dinner’s theme will be “Vision and Commitment: Our Journey of Renewal.” It will pay tribute to the museum’s charter members — the first individuals and families to see and believe in the importance of the museum and its enduring role in our democratic society. The event is co-chaired by Ernest Y. Doizaki, Kansas Marine Company; JANM Trustee Leslie Furukawa, Esq., Gomez & Furukawa; and JANM Governor Gene S. Kanamori, Keiro. The Gala Dinner evening will include JANM’s popular Lexus Opportunity Drawing, for which a new 2019 Lexus RX 350L vehicle will be the prize. Opportunity Drawing entries are $25 each, $100 for five entries, and $500 for 30 entries. They can be requested by calling (213) 830-5641, emailing [email protected], or downloading an order form from janm.org/dinner2019. Sponsorship and underwriting opportunities are available. Email [email protected] for details. Individual tickets for the event will go on sale in late February; the event is expected to sell out. Information is also available at janm.org/dinner2019.